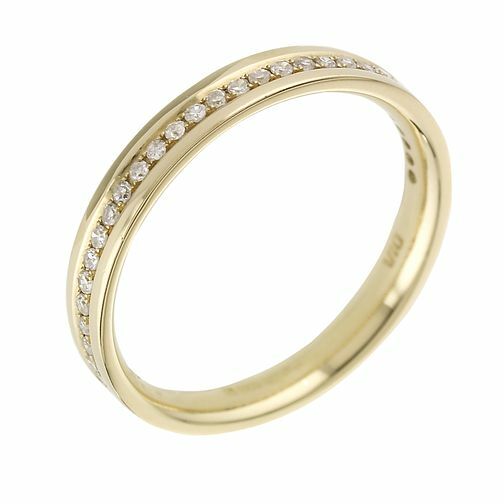 A beautiful wedding band crafted in 18ct yellow gold featuring sparkling diamonds set around the full length of the ring. The perfect symbol of your eternal love. A ring she'll love now and always.